My mother sent me this photo al the way from Nepal, the basket that the young girl has over her head is what is used by the Nepalese porters to carry huge loads up the mountains. 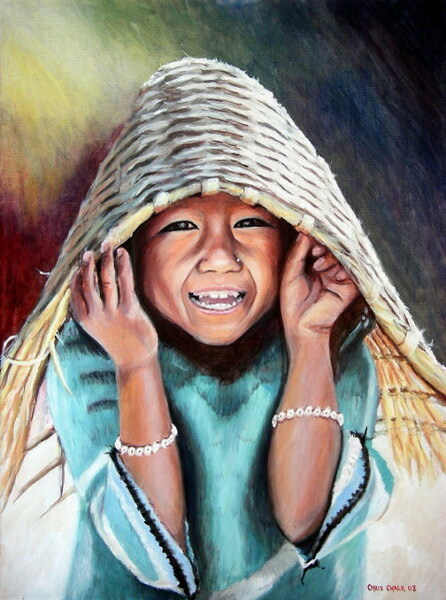 As soon as I saw her beaming smile I just had to paint this one. SOLD - Not available as a print.